Want to know one of the best tactics we've found for increasing conversions? We have found it to be It an amazingly powerful principle for creating desire in our business, and so we were curious to see if we could find any examples of deadlines, restricted freedom or limited resources having astonishing impacts on other events. The following infographic showcases some of the most fascinating instances from the past where the scarcity principle played a major role in the outcome of events, either purposefully or accidentally. Download this 100% free report on how to create scarcity in your own business. It includes tools, formulas and real life examples. 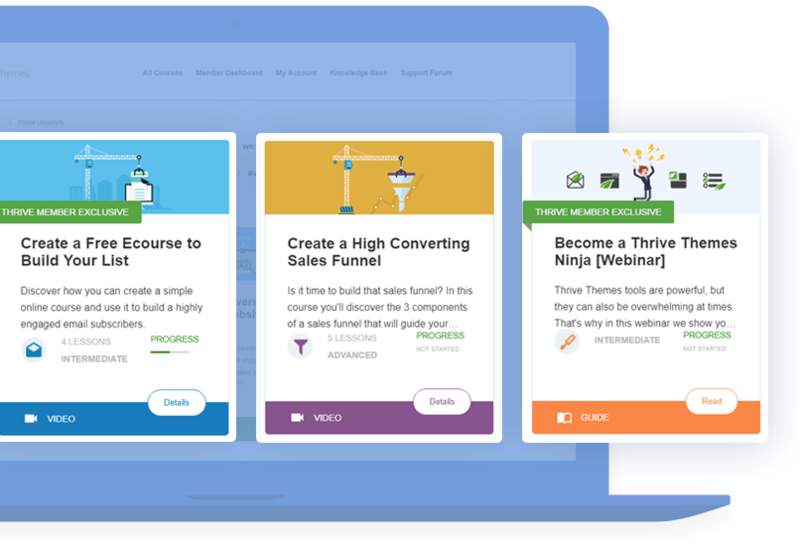 Want to learn how to create the most bulletproof, ethical, beautiful and evergreen scarcity campaigns in your own online business? Scarcity plugin? Where? Darn it! Played like a fiddle again! I agree, Scarcity is key to launch any product online, recently I finished with PLF from Jeff Walker and he is paying attention a lot. Best of luck with your upcoming launch! The current importance and influence of scarcity is huge. Very excited to see what features this new plug in brings. Also… congratulations on the site’s first infographic – very nice! Stoked you enjoyed the infographic, Samuel :) Double stoked you agree with the importance and influence! Stay tuned for the new plugin! Scarcity requires legitimacy and when you try and fool someone you might have some success with the ploy, but ultimately, it’s not worth ruining your reputation over, which will happen when people figure it out! My favorite part of the infographic is the “Beanie Baby Craze” because I was apart of the craze! Really looking forward to reading through the scarcity tactics you guys provided. Haha, yes, the ol’ Beanie Baby Craze! Interesting times for sure…I seeing a photo of a courtroom where a couple was getting divorced. There was a pile of beanie babies in the middle of them and they were trying to decide who got what! While some of your earlier examples need a bit of stretching to make your point, you nonetheless make your point well with your latter examples. Of course, this comment will only be available for another two days before it gets automatically deleted…. What can I offer you to make sure I don’t lose it??? For the plugin, please have it so the countdown timer starts for each individual person, and when the timer is up they really no longer have access to that page / offer anymore. And they’re redirected to a page where they can buy it all the full price. Thanks. I agree totaly. It would help a lot if Thrive Themes offer also a recurring timer for this reason. Sometimes it’s a bit hard for old time IMers to remember that the way people access the web has changed. Like I said to Mike, It seems like you feel the accessibility of the content is more important than the goals and substance of the information presented. Why is the accessibility such an important aspect for you? It seems like you feel the accessibility of the content is more important than the goals and substance of the information presented. If someone can’t access your content, it might as well not exist. If I told you you have a billion dollars…but it’s on Neptune, do you really have a billion? It seems like you’re saying this infographic is as unaccessible as a billion dollars on Neptune? I agree if someone can’t access your content, it might as well not exist, so it is an important aspect, for sure. Would you consider this infographic an unaccessible way to present information? is so readers can imbed them on their own site this getting white hat backlinks. PBN’s are the old backlinking way and considered black hat. Notice the embed code provided. Reducing the pixel size is important and Thrive had a reducing service built into the Thrive Themes. Each article on my blog from now on will have one for readers to embed on their sites. Scarcity indeed – went to member’s area Today and… Scarce! Looking forward with baited breath. I’m excited to hear what you think once you get your hands on it! I am already a Thrive Themes customer so I find it frustrating when I get the whole “sign up to learn more” every.single.time. Can you please work on sharing with your paying customers in a less salesy way? Thanks. One of our main goals here at Thrive is to make sure our customers get an amazing value from our products. One of the ways we do this is by not only continually updating our existing products to make them better, but also continually releasing new products. You could just create a new section in the Members Area where you provide access to all current and previous PDFs and other stuff that non members would be required to provide their email address for. I mean, you have the Smartlinks feature (which is awesome) and the whole point of that feature is to make sure that existing customers aren’t bothered with signup forms all the time. This way you get what you want and paying customers get what they want. Everybody wins. Love the infographic! Gives me all kinds of ideas for my next blog. Remember that imitation is the sincerest form of flattery! Looks like our pleads for the Thrive version of Deadline Funnels are going to be answered very soon…if it’s even just near the quality I’ve come to expect from you, you will once again tear the competing softwares to shreds. Keep this up, and my subscription money is yours forever. How long until Thrive 2.0?? Will keep you updated on Thrive 2.0! As always, we aim to create and continually develop our products to meet and exceed the other options in the space! Blashemous is a funny word. Don’t ya just hate it when a graphic gets released and promoted and there’s a glaring typo in it? The joke’s on you, Ted. All the editors can’t resist leaving their typo comments and we get professional editing, for free! Hey Dave, so where’s the plugin? A very nice infographic and I agree that scarcity pumps up desire and impact our life willingly or by accident. Yeah, great post and infographic. Real class. Hope it works better than Scarcity Samurai. We think you’ll be pleasantly surprised with how well it works (and how powerful it is). I discovered this works quite by accident. When it was time to raise tuition at our academy, I posted an alert to my email list and was astounded by how many wanted to beat the increase. In my case, I want to let people know so they can plan. It’s only fair. But it turns into a win-win each time. Very interesting. I’ve seen an artist use this. He showed his paintings at a discounted price for one week and then doubled the price. From what I saw on his page he seemed to be selling well. scarecity plug in??? I’m drooling!!! You’re gonna love it Harvey! The plugin is so scarce it seems to be missing. Hey Alvin, this post is just marking the announcement that a new scarcity plugin is coming soon. You’re gonna love it Natasha, can’t wait to see what you do with it! Scarcity creates urgency to act, and it’s urgency to act that creates well action. So there are other ways to create that urgency. Scarcity is just one tactic. Don’t worship the tactic just because. Use it because it’s right for you. I for one am tired of having my chain pulled. Stoked you loved it John! I love it! Shane you make my day, giving away great content to use with your very nicely themes! You’re going to be stoked on how powerful the plugin is. Can’t wait to hear your results. I second that all of the features in “Deadline Funnel” need to be included. Date based expiring links that redirect after a specific date are in high demand and the tools that can create them are either pricey or wonky to say the best. Can’t wait to get my hands on this new plugin and keep up the good work! Also, I’m patiently waiting for A/B testing feature for Thrive landing pages. The biggest feature that this awesome conversion optimized theme is missing right now! Hey, Great Infographic…Love your creativity…Scarcity is the best it THE KEY for any product. Can you tell me how do you create such Infographic? This ultimatum got me super excited, but I’d like to know how the sales work with woocommerce, etc. Also, if I can use the top bar and things like that across my whole site or just on thrive pages. Do you guys have a FAQ section? Awesome to hear Priscilla! Woooooooo! Nice Infographic.Scarcity is the best for any product. I love the Infographic thanks. only photoshop or anything else ? hey Dave amazing infographic..i like it !! I really liked the concept of scarcity and will soon implement it on my website. I also like the infographics would you mind sharing how are you creating these infographics? We had our in-house designer make this one. I love this Infographic and really liked the concept of scarcity. Glad you’re enjoying it all Sagar! Can I know what tools are you using to create this image in this blogpost?